Javea city in Spain is located in the shadow of the dominant Montgo mountain on the northern Costa Blanca, and is one of the most popular resorts in the region. Javea is an attractive destination with much to offer of sights and attractions for the visitors, including some of Spain’s finest golden beaches. In this article we give you the best attractions and things to do in Javea. Jávea is located between Alicante to the south and Valencia to the north, the distance is about 100 km from Valencia and 90 km from Alicante – both locations with international airport, Alicante Airport and Valencia Airport. Jávea is a relatively big city with approx. 30,000 residents and the surrounding area are large. The locals are friendly and inclusive. Javea is divided into three parts: Javea Pueblo (Old Town); Javea Puerto (the busy port area), and Playa de Arenal (the largest beach area). Today, the old town and the port are combined thanks to the real estate development in the city, while Playa de Arenal is about 3 km away along the rocky beach of Puerto. Javea is surrounded by cliffs with candlelight. To the San Antonio cliff you can stroll up from the harbor. The reward is a phenomenal view of the Mediterranean and the Costa Blanca. The Cabo de la Nao Rock on the opposite side is best suited for a car trip, preferably combined with a visit to Cala Granadella – one of Spain’s most beautiful bathing boats. The cozy old center of Javea is worth a walk a few hours in the morning. Just walking around and admiring the whitewashed Gothic-style buildings is an experience in itself. Have a look at the gothic church of San Bartolome, and visit the busy food market with its stalls full of fresh fish and fruit and vegetables from the region. The old town of Javea is still very Spanish and prices then. One good advice is to follow the Spaniards and try the tapas on the many local squats. Around the cathedral of the late Middle Ages, the historic quarters of the city cluster together, with house façades drawn with flowers in colorful pottery pots. People live their daily lives in the narrow streets, hardly feasible for anything but mopeds. Playa de Arenal is the sandy beach area of ​​Javea. It is a chilled area stretching more than 300m from the well located at the famous Parador in the north. In this area there are many cafes, bars and restaurants. The beach itself is fabulous with superb fine golden sand. There is a volleyball net along the back of the beach which is popular later in the day and there are plenty of play areas for the kids. The Cala Granadella beach on the outskirts of the city is at the bottom of a steep and cobbled forest road. If you are lucky and find a car park, you can enjoy the beach life and the little tavernas until the evening falls on. Granadella Beach is named one of Spain’s most beautiful bathing boats! Here you can enjoy the beach life and the little tavernas until the evening falls on. Further south you will find ‘Cala de la Barraca’, a rocky beach with crystal clear waters and ‘la Isla del Portichol’ which is just a few kilometers outside of Jávea. Further south you will reach small, hidden coves and beaches, all with an exceptional beauty. Today, most ports in the tourist areas have become trendy marinas with exclusive shopping shops, but not the garden in Javea. It still works as a fishing port with boats moored nearby. If you take a trip to the harbor you will be attracted to the beautiful promenade, restaurants and cozy local bars. The view of the bay is spectacular. During the first week of September, one of Spain’s more unusual fiestas will be arranged when the bulls are released. 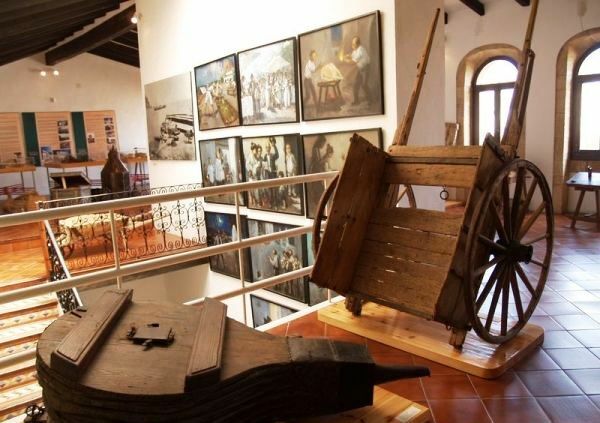 The museum Soler Blasco Archaeological and Ethnological Museum is located in the historic center of Javea in a building known as “La casa-Palau de Antoni Banyuls” (Palace of Antoni Banyuls). It is one of the city’s most important historical buildings, which now houses a large permanent exhibition of temporary exhibitions. Built by Banyuls who was connected to King Philip III – in the first half of the seventeenth century. The palace has an impressive Tosca stone façade and is spread over three floors. The museum consists of 10 exhibition rooms, eight of which are dedicated to the regular exhibitions with examples of Javea Iberian Treasure and Roman and medieval ceramics, among others. 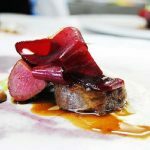 In addition to expelling the days at the beach in Playa del Arenal, and eating at the fine local restaurants, it is enough to make entertainment for the whole family. Diving in Javea is highly recommended and there are no end of dive companies that offer introductory dives and PADI courses. The Costa Blanca has more than 13 golf courses and opportunities for sailing are available from the puerto. Javea’s most famous landmark is the Montgo Mountain. Javea residents say that it’s an elephant that has been made of stone. You can even see the elephant eye shut when the sun goes down. 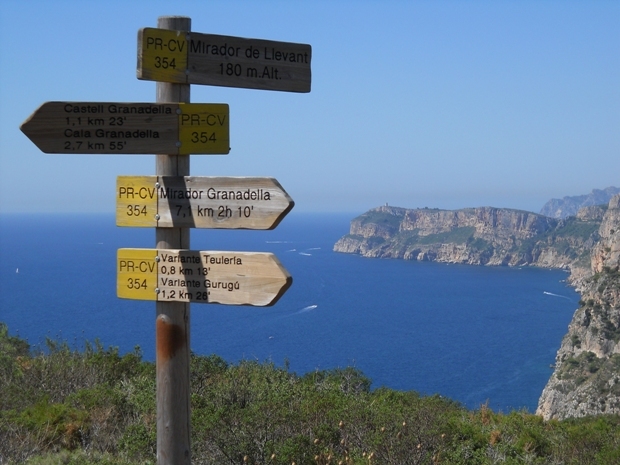 There are also some good hiking trails around Javea and if you are interested in tours for the area you should ask in the tourist information after the book “Nature Parks and Hiking trails”. From the vast massive Montgó mountain that extends its protective arm into the sea to the open natural areas of Adella in the south, Javea offers many opportunities for hikers of all ages and all skills. Five official routes exist, almost 45km of trails open up the beauty of both nature and the coast and are perfect for a short afternoon walk along the sea cliffs or an energetic day trip up to the mountain tops. There are short walks through orange groves on the plain, or cultural walks through the narrow streets of the historic center. There are more energetic Rambles to the castle of Adella or to the iconic windmills of La Plana, as well as the wonderful carved carverns of Cova Tallada. If you rent a car in Javea there are many day trips available to other interesting places like Denia and Gandia and along the coast you will find many beautiful beaches. Some of the best you will find beyond Denia from Javea as far as Oliva. Bring your kids to the miniature golf or go-kart course next to El Naranjal camping which is just off the main road. They have a challenging 18 hole mini-golf course, great for children and adults who easily get back to children when they get the magic hole in one! Only 3 euros for a round and play as long as you want !. Karting Javea is a Go-Kart course in Javea, offering go-carts for all ages and levels. It is located near the main Arenal beach in Javea, with great facilities and high quality go-karts. Come and enjoy the facilities, including a swimming pool, playground and La Laguna Bar-Grill. There are short distances to other small towns such as Moraira, Pedreguer and Benitaxell. There are also short distances to some larger cities like Denia, Altea, Calpe and Alicante. If you want a big city trip, it’s only one hour’s drive to Valencia. This entry was posted in Javea and tagged attractions, costa blanca, javea, spain, xabia on 2. November 2017 by Admin.